This is exactly what the parents of six-year-old Kaydon Leach experienced when their boy went missing on the evening of April 23 with his dog, Chula. 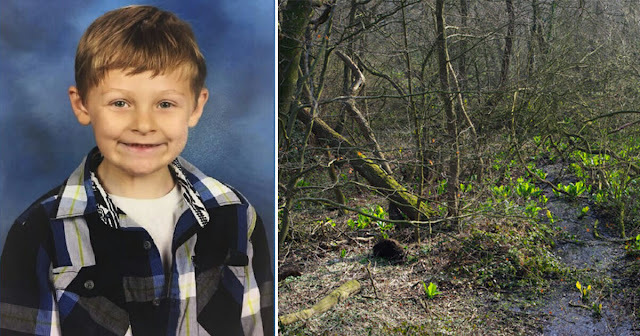 Kaydon Leach disappeared in Blount County, Tennessee on the evening of April 23. The Tennessee Bureau of Investigation soon issued an Endangered Child Alert, with rescue teams conducting grid searches through a 2,000-acre area over the night. Given that Kaydon is just six-years-old, fears for his safety were paramount. The large-scale operation to find him included the Tennessee Bureau of Investigation, K-9 teams, Blount County Sheriff’s Office SWAT Team, a Black Hawk military helicopter and volunteer search parties from the local area. After 22 hours, Kaydon was found about a half mile away from his home in the Top of the World Community in Blount County at 3:30pm local time on April 24. Despite the fantastic efforts of the many involved in the search to find him, however, it’s not the police, fire department or volunteers who are being recognised as the true heroes of the tale. Instead, it’s the black and white terrier Kaydon had with him; Chula. With Kaydon missing for an entire night in the rain, Chula guarded his master and kept him safe until others could reach him. In the dark and the rain, in the bleakness of the night, Chula stayed by his master’s side. What a good boy he is! Kaydon was cold when he was found, with rescuers wrapping him in jackets and carrying him up the mountain to the road. He was later taken to Blount Memorial Hospital. In a statement his family expressed their gratitude for all those who took part in the search. I’m so happy that story had a good ending. It’s true what they say about dogs; they really are man’s best friend. Share this story if you think dogs are the perfect pet! Help us pay tribute to Chula!